Rinnku Ganeasha, the Chief People Farmer of Rightwaay Talent Consulting is a unique farmer who helps people grow! She is an expert at helping people become Self-Aware of who they are and why they behave the way they do! She has been responsible for managing the standardization, design and continuous improvement of HR & L& D processes across clients. She has had the opportunity to dramatically improve HR operations, cost effectiveness, and customer satisfaction levels by reducing manual work and streamlining processes. Rinnku has lead process improvement and design teams, trained and coach HR staff on process design/improvement tools and methodologies. Over the last 20 years she has coached hundreds of individuals, teams and organizations unravel their hidden potential and climb the peaks of personal and professional success! She is adept at helping you set up your people processes that result in dramatic improvements, cost optimization and transcendental results. Her coaching style is simple and effective which gives you a step by step plan to understanding what are the beliefs that hold you back from achieving the things that you want, be it successful relationships, happiness and financial freedom that you deserve. 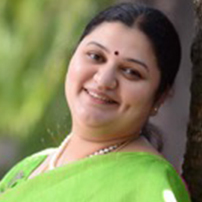 Her articles have been published in the Times of India, Deccan Chronicle and the Hindu. She has many awards including the South India’s 50 Most Talented HR Leaders Award by the Asia Pacific HRM Congress.